I had an experience with this nasty little creature. Ate one of them a few years ago while sleeping. Taste like fark. You know how it smell. Well, my room that time was beside the toilet. Poor choice of location so nearly every night and so, the cockroach will enter my room through the gap in my door and climb up my bed. Not to mention one of them bit my finger causing raw wound. Did you know that cockroach can eat through almost anything? Left me with phobia not only because they crawl but they can fly too. I hate them. 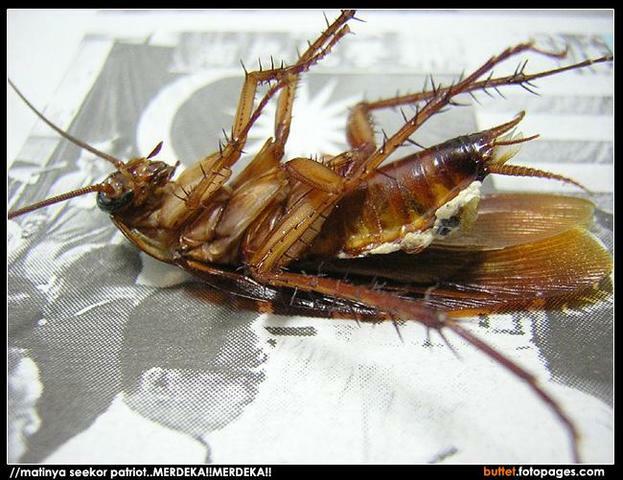 Can lipas add your tenaga batin (sexual energy)? More potent than tongkat ali or kacip fatimah? K, later then for the reviews.